Finding the right shoes for spring travels can get a bit confusing especially when planning for cold and warm weather. Read this post on how to choose the best travel shoes then take a look at the seven options below to pack the best options for your spring trip! Shopping for the perfect travel shoe is sort of like shopping for a mattress. Everyone has different bodies, different preferences and finding the right balance for all is nearly impossible. However, one thing is for certain: travel shoes are not just about being functional but we’d love if they were also stylish, durable and versatile, too. 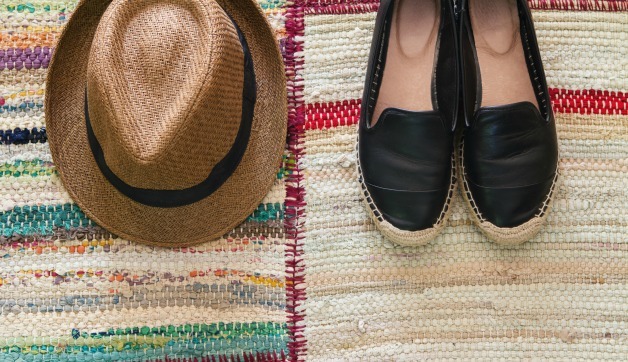 Here are seven options to consider when packing shoes for spring travels! Flats are a great option for spring, but finding a good flat with arch support can be a challenge. Dr. Scholl’s makes a great ballet flat in assorted colors. This flat has a bit of a heal which is great for walking longer distances and has a memory foam insole for comfort. Pointy toe strappy flats are a great travel option for style conscious looking to create a chic, fashion forward look. While they’re not recommended as a “walking shoe” for sightseeing long distances, a pointy toe can elongate your body and generally creates a dressier appearance than a round toe. Editor’s Note: Just bought the ones shown above and love them – cute, lightweight, and ultra-packable! Read this post for cute and comfortable ballet flats for travel! Flip flops are nice for around town and at home, but can make a challenging shoe for traveling. If you’ve ever ridden the metro wearing flip flips, your dirty black feet have lived to tell the tale. 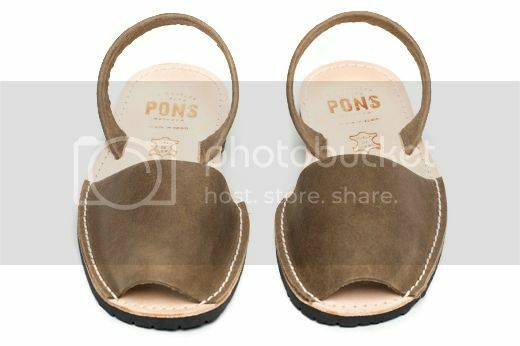 Consider a sandal with more coverage and more durability, such as the Avarca Pons shown above. For stylish sandals, we’re currently loving these styles! Great for seaside, cruise, and hot weather trips when you’re feet just can’t be enclosed in the heat. Gladiators continue to be a popular sandal this year – but are they ever really out of style? Aerosoles has an awesome selection of comfortable sandals with a soft foot bed and varied levels of arch support. Editor’s Note: The above Franco Sarto sandals are one of the latest pairs just added to my never-ending summer travel wardrobe! Want more ideas? Take a look at these stylish dress sandals for vacation! Since I wouldn’t recommend bringing heels on vacation, (unless your travels require it) wedges are a great compromise. They give you some height, and yet can be practical enough to wear for long periods of time. Wedges and block heels are ideal for trips with special events, weddings, and upscale dining. Editor’s Note: Block heels are a stylish and on-trend alternative to wedges. Looking for a splurge-worthy pair? I”m currently loving the above Lace-up Gladiator sandal in olive – the perfect new neutral for all my clothing! Here are some tips on how to walk in heels in cobblestone streets! You can’t go wrong with a pair of canvas shoes for Spring, which can be found in a variety of colors and styles. Cotton shoes are lightweight and breathable. Since the Spring brings both chilly and warm weather, it’s important to keep your feet covered from the wind, and yet breathable from the hot sun rays. Toms is always an awesome option because they give a pair of shoes to someone in need after your purchase. They even makes an open-toed cotton shoe (shown above) – great for Spring and Summer! Loafers (or oxfords) are a classic Spring shoe. Spring usually means “you don’t have to wear socks, if you don’t want to.) There are so many colors and choices, but we love a structured stylish pair like the ones shown above to match easly with a variety of different types of pants, skirts, and dresses. 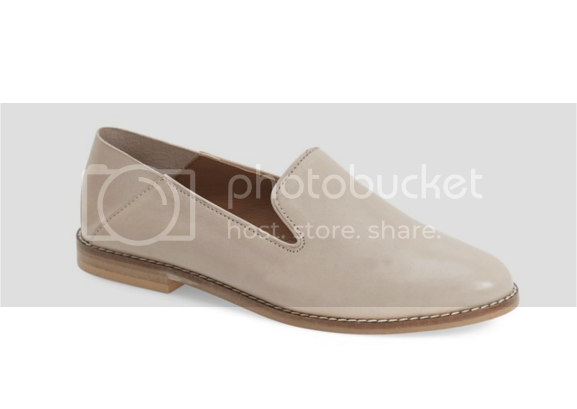 With loafers you can choose a structured shoe as shown previously or a soft body like the two styles above. As a bonus, opt for a slip-on – on trend for 2016! When I hear sneakers, I almost instinctively imagine a pair of crisp, white orthopedic shoes. However, fashion has stepped forward to stylish sneakers that act as ideal walking shoes for travel, and yet cute enough to wear with a dress. Chuck Taylor’s are always “in”, or a pair of sneaker slip-ons like these shown above are good for walking around any town. Not into sneakers? Go for an athletic inspired espadrille like the one shown above! Use gel insoles for added comfort or buy an orthopedic insole for custom fitted arch support! Tall boots are great for the winter, but Ankle boots are hands down the best shoes for spring city travels! A stylish pair of booties are great with jeans, dresses, skirts, and pretty much anything. They can keep your feet warm and dry if you run into any April showers and can easily transition an outfit from cold to warm weather with a pair of tights. I’m a huge fan of Born boots, as they are real leather and made to be durable for all types of weather. These would pair well with just about anything! 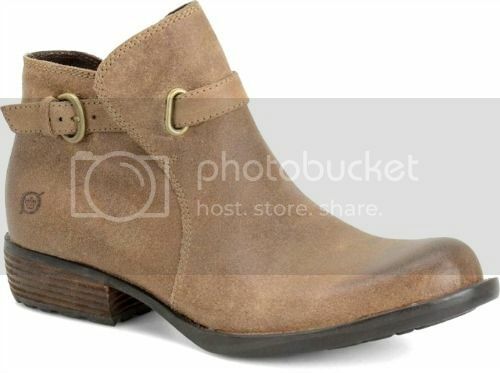 Here are even more budget friendly ankle boots. Wear them on your flight with a comfortable travel outfit like these! Regardless of which shoes you choose, make sure they’re broken in! What are your favorite shoes for spring travels? Comment below! 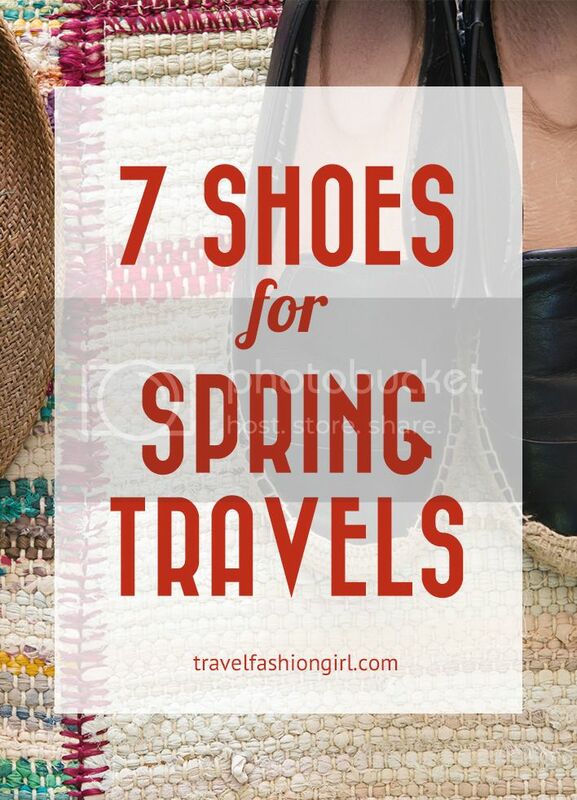 Hope you liked this post on shoes for spring travels. Please share with your friends on Facebook, Twitter, and Pinterest. Thanks for reading! 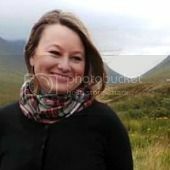 Author Bio: Nina Thomas is constantly looking for a beautiful view and a good adventure. Her travel highlights include horseback riding in the Ecuadorian Andes, hiking on top of Mount Etna in Sicily, and sheep-gazing in the Cotswolds. For more practical travel tips and ideas from a Central Ohio Girl, check out Traveling with Nina or follow her on Twitter. Hi! I am wondering what the black leather espadrille looking shoes in your top picture are!? I like them a little better than the Soludos because of the lower front! Thanks! Love TFG! The information you share is invaluable! Keep up the great work! I’ve noticed that the flats with the wrap around strings, like the BP pointed flats, have been super popular. They seem like the would come untied and be a hassle! Is that not the case? I liked the ideas here, looked a few up! Thanks! Lots of great suggestions — thanks! I have had good luck with Clark’s for walking shoes and sandals. 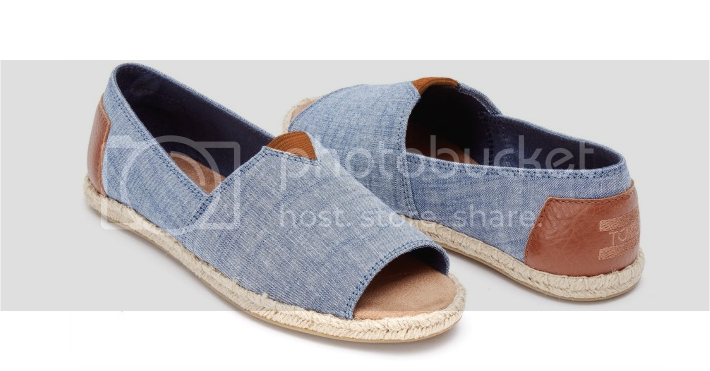 I just love the Toms open-toe Alpargatas! It has that casual, yet chic feel to it. All these shoes are cute though. Love this list you put together! I’ve never been into Toms but I’m seriously considering them this year. Especially the desert wedge booties everyone raves about. Some great ideas here! I find it really hard to choose shoes for travel. And when one pair are hiking boots you need something to cover every other eventuality – smart (enough), comfortable, hard-wearing, maybe waterproof and the right colour too?! That’s a lot to ask of any shoe. Thanks for the great tips, I’ll definitely be checking some of these out. Love these suggestions! Would like to add a shout-out for Keds which I discovered last year for traveling. Not just tennis shoes anymore, but have a lot of cute styles and reasonable prices. And you can go all day in them. I’ve seen them on my travel more and more. Definitely a popular option! Wondering about espadrilles in the rain. I’m traveling to London and Paris in June. I found an amazing pair of Naot sandals thanks to a post here, but not sure what to bring as my second pair of shoes. 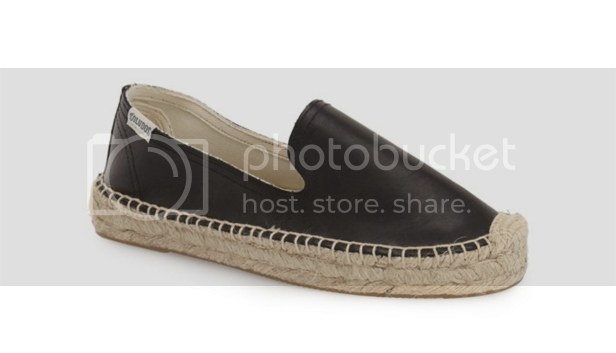 There are so many cute espadrilles out there- some in leather like the soludos pictured above. But not sure how they’d hold up in wet weather. Thanks for all the great posts. So helpful! Great post ! Always looking for great fashionable travel shoes … Just bought Sam Eldleston ballet flats and LOVE them!!! Great post. Also check out Camper flats, and sometimes (only sometimes) Merrell have stylish sandals as well. Campers are awesome, great suggestion! Several years ago I found a great new pair of J-41 (Misty) flats that have become my new go-to shoes for travel. They are comfy and light weight! Thanks for the suggestion, we’ll take a look! Love all the options for travel flats! Born shoes are my absolute favorite and the ones I go back to time and time again. I think an athletic espadrille will need to be added to my shoe wish list. They look so comfy and stylish at the same time. Thanks for the great article! This is a great list! I’ll have to check out some of these as I live in Hong Kong and it’s murder on one’s feet. I’m constantly searching for the perfect shoe! I just bought a pair of Ahnu Karmas that are my current favourites. If you get to Hoi An, Vietnam, have some custom shoes made. Comfy shoes at bargain prices. (Sorry if this is a duplicate post, but I couldn’t tell if my reply posted.) Happy travels! Hi Sharon! Yes 100% agree with Hoi An. I had ten pairs of shoes made while I was there 🙂 LOVED IT! I have a pair of Chacos sandals that are well broken in, and I’ve learned the hard way that they’re the best shoes I own for traversing those endless hallways to my boarding area. Easy to slip off and on for security, and won’t get me off balance when I’m trying to navigate with all my heavy luggage upon arrival. Love these options! Comfortable shoes when traveling are a must! Still like your article and don’t go anywhere without checking your site. Happy travels! Great list! I’ll have to try some of these. I just got a pair of Ahnu Karma flats and they’re my current favourites! If you get to Hoi An, Vietnam, have some shoes made. Bargain prices for comfy shoes. Love the wide selection of espadrilles available right now, yay! Theses nothing more important than comfortable shoes while traveling – cobblestones call for a special pair! I love my toms for travel almost everywhere. I’ve found my best traveling shoes are the ones I’m inclined to wear the most often at home. Some great ideas here, love the loafers and slip-on sneakers. Flats ftw! There are some great tips in this article. Thank you for sharing! Nice suggestions, but I wear the Croc’s Kadee flats when I travel. I just wore them to Myrtle Beach last week and they were the perfect shoe to easily take off at the airport, and were great for endless hours of trekking through the mall and local shops! I can wear them without socks with capris or with socks on chillier days. I love them!! Those are definitely a great classic pair of travel shoes! Love the shoes on this post! I love it that you give recommendations for specific shoes. That is SO helpful I just bought the Ipanema sandal you recommended for my upcoming trip to Cuba on Friday. It will be great for beach, and for dressing up. Luv it. Also to add….Birkenstocks are coming back as a pretty rocking travel shoe! Love me some Birkies! Good ideas of what shoes to wear for travel; I’m going to Europe this summer and need ideas of the best shoes for walking, thank you so much! Thanks for the great suggestions. Would love to see a post about athletic shoes–walking shoes vs. hikers vs. running shoes. Looking for something fashionable but supportive that works on the trail or in town! I love the Born shoes line and own a couple of their boots. Have anyone tried their wedges? Im thinking if getting the avarca pons but they seem like they are flat. Are they comfortable for walking all day? I find Bernie Mev’s to be great travel shoes. They come in a variety of flats and wedges and can be dressy or casual. I now own four pair – two flats and two wedges. I’m going to Europe in May and still searching for the right shoes to take that won’t take up all the space in my carry on. This will help me!